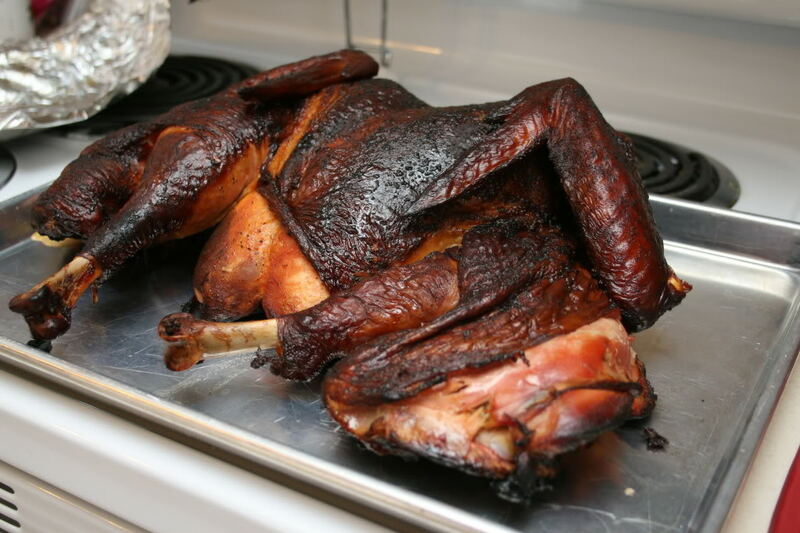 I just checked my turkey after 3 hours and it's at 160º in the breast and thigh, I spatchcocked it. I'm cooking on my UDS and I decided to do just a little temperature mapping while I was cooking, and I just found that I've got a 50º temperature difference from the center of the smoker to the outside. Is this cold weather related or just a normal variance? My Pit thermometer has a 3-4 inch probe if that makes any difference. There is a lot of convection going on in a uds. It is common for mine to have a big temp difference from lid to grate. Side to center will vary also. At some point the temps will even out for a while. Don't know why. It just does it. I tend to measure dome temps more than anything. Ok, I'll have to add a thermometer to the lid and see what i find there. Well just do the Missippiis on the lid that should work. 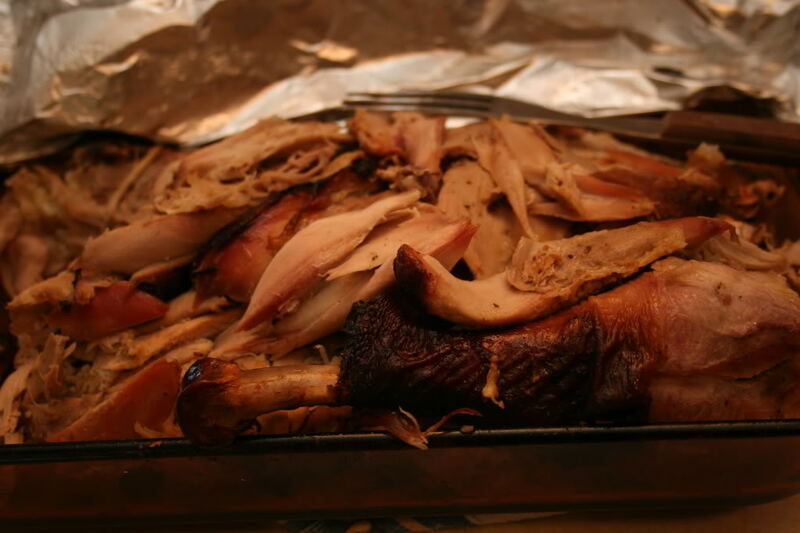 I forgot to do that today and come close to having some turkey jerky till it finally dawned on me the pit was not as warm as it normally was. Brisk N. Wind and fairly low temps drug it down. Finally added the shielding bucket to finish. Everything was grand prize winning quality as usual. So you have a bucket that acts as a diffuser, like a WSM or just a dry bucket? I remember reading somewhere of guy uses a terracotta pot tray as a diffuser, I just can't remember where I saw that at. Anyways' here are the photo's of my cook today, despite cooking it in three hours it came out very nice. I really love the taste the UDS is producing, I just need a lot more practice to learn how to cook on it. I'll get there though. 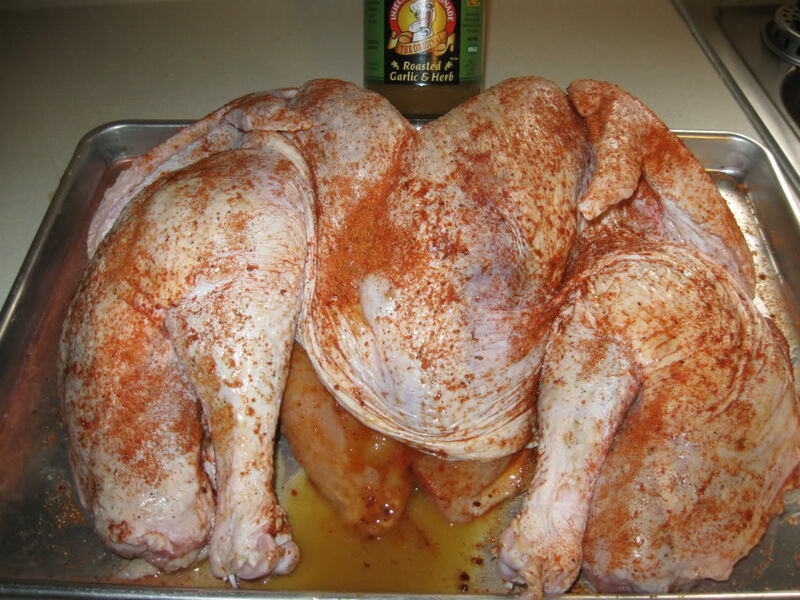 I spatchcocked it out, injected with Cajun Injectors Roasted Garlic and Herb, then rubbed it down with Three Little Pigs; I cooked over blue bag with wild cherry for flavor.